The Unlucky Fox is series of illustrated novels by +Scott Plumbe about a dapper young fox who returns to his birth place to solve a family mystery. 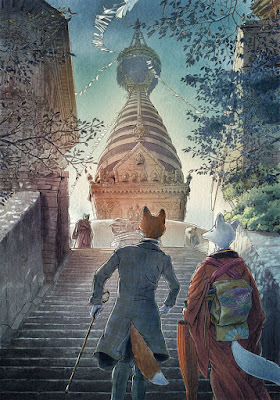 Scott shares, Returning to Calcutta to solve the mystery of his mother’s disappearance, a young fox is inducted by his uncle into the peculiar Tea Merchants’ Secret Society. Against his will and in the company of strangers, he is plunged into a treacherous expedition deep into the Himalaya to protect a priceless artifact and is unwittingly entered into the Tournament in Shadows — a duel for supremacy in remotest Asia between Czarist Russia and Victorian England. As the Empire teeters on the brink of conflict, our unlucky fox strives to unravel his mother’s riddle, fulfill his promise to guard the artifact, and safeguard his honour… all without putting a whisker out of place. Who is Scott Plumbe ? 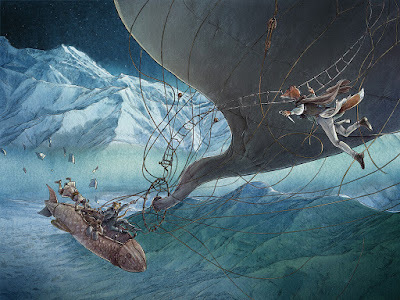 An award-winning artist whose work has been featured in magazines such as +Communication Arts (US), +Applied Arts (CA), +Creative Review (UK) and 3 x 3 (US). 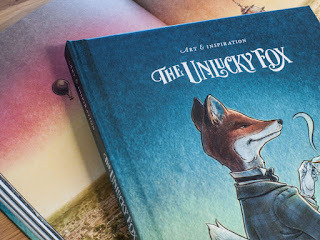 This year alone, artwork from The Unlucky Fox was included in the Applied Arts 2014 illustration annual and chosen for +Bologna Children's Book Fair’s Illustrators Exhibit. The artwork also toured Japanese museums. This is the first story in my Unlucky Fox series of illustrated novels about a young fox named Theodore Browne. When completed, this novel will be around 60,000 words and contain over 100 pages of colour artwork! I’ve been developing Theo’s story for nearly four years now; during which time, the manuscript has been methodically researched, written, rewritten, edited, revised hard and revised again (I have even done a rough draft for the sequel!) At last, it’s time for Theo’s story to be brought to life. The Unlucky Fox Book Trailer from Scott Plumbe on Vimeo. I’ve seen the Unlucky Fox book trailer, but who is this story for? The Unlucky Fox is a story that celebrates individuality, loyalty and the importance of keeping your wits about you! 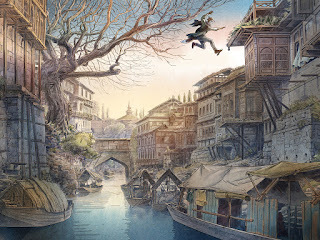 It can be read by anyone from age 13 and up who enjoys a cracking mystery, with a diverse cast, heaps of artwork, historical tie-ins, far-flung travel and, of course, a good dose of archeological intrigue! 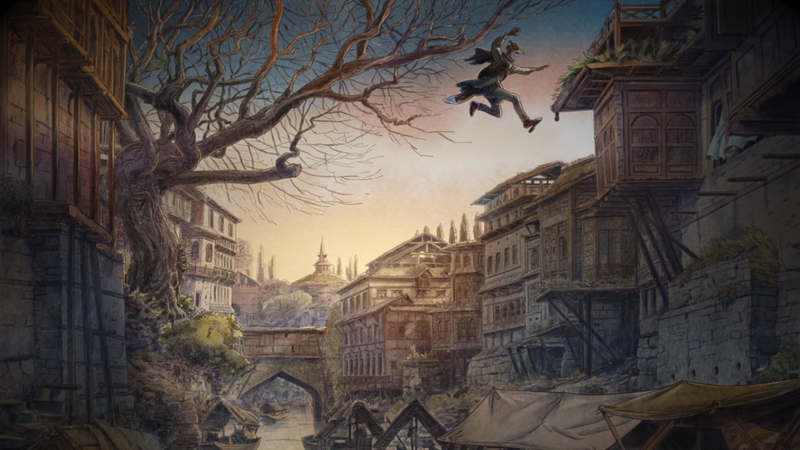 As a once-hesitant youth reader myself, it’s my hope that this richly illustrated story will prove irresistible for even the most reluctant reader, regardless of age. The Unlucky Fox Art Book - Preview from Scott Plumbe on Vimeo. Is it an illustrated novel the same as Graphic Novel? The Unlucky Fox bridges the gap between a graphic novel and a traditional work of prose. For instance, there are no speech bubbles and it contains twenty chapters of approximately 60,000 words and over 60 ‘double-page spreads’ of colour illustration. In traditional printed book terms, that’s well over 100 pages of colour artwork. It can be read as text alone or enjoyed with the three to four colour illustrations per chapter. This artwork includes a mix of key scenes, handwritten letters, telegrams, maps and more.